The Burning Question*: Do you put the spoon back in the sugar after stirring? You're not going to put that spoon back in there, are you? This week: We are horrified – horrified – by the news that one of TheJournal.ie‘s esteemed colleagues puts the spoon back into the sugar bag/bowl AFTER he has used it to stir his tea. He reckons we are overreacting. Are we? 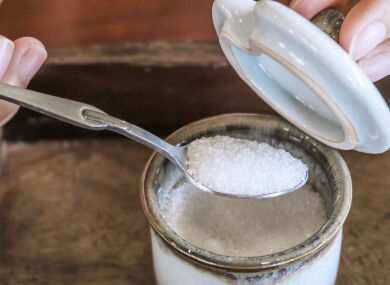 Do YOU put the spoon back in the sugar after using it to stir your tea/coffee/hot beverage of choice? A - Yes, what's the big deal? Email “The Burning Question*: Do you put the spoon back in the sugar after stirring?”. Feedback on “The Burning Question*: Do you put the spoon back in the sugar after stirring?”.